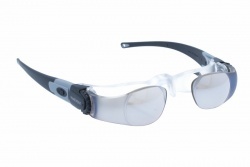 Prescription glasses for low vision help people with vision limitations that impede to have a normal life. There are some technical aids to improve the life quality of these patients. 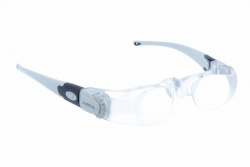 For example, optic aids, both manual or in glasses, provide the needed support for each patient. 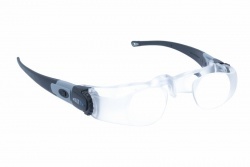 Also, we have electro optic helps. They are technologic devices as magnifiers with screens, virtual reality or software to enlarge the computer’s image. Furthermore, these users also have magnifiers, microscopes or manual telescopes. 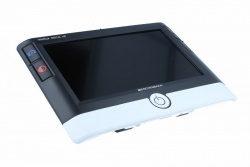 Finally, they also can count on tactile helps and scanner systems. The most prestigious brand in this sector is Cocoons, that counts on CSR lenses or different filters for people with ocular pathologies or that need a better optic quality. These models are intended to be used on prescription glasses. They have not polarized lenses and come in 4 different tones to improve vision quality. In this way you can choose different colours as lilac, perfect for indoor or outdoor activities; brown, that minimise glares and provides better contrast; yellow, that maximizes luminosity and improves contrast in low light conditions; and orange, that improves contrast allowing to see better the object’s background. In our online store you can find all prescription glasses for low vision at best price. During the purchase process you can contact our professional team that will be glad to help you.